Happy Friday, it's Yolie with Team eBrush sharing a quick Valentine's Day gift box. I used my electronic die cutter to cut the box and to design my own stencil. 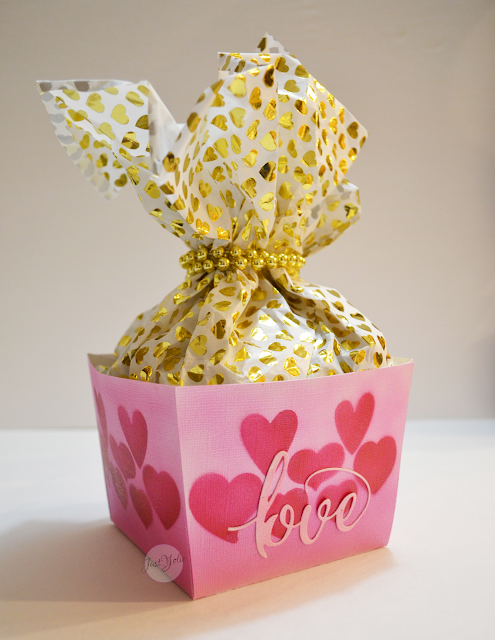 This is a simple box, you can easily create your own out one sheet of 12"x12" paper. 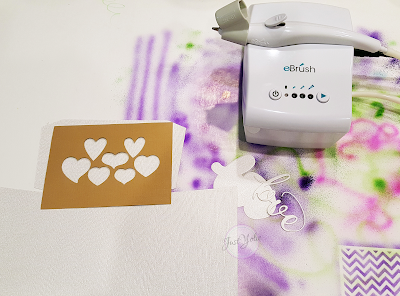 To create the stencil use heart die or a paper punch. I'm a messy crafter so to protect my table top, I use a large poster board. 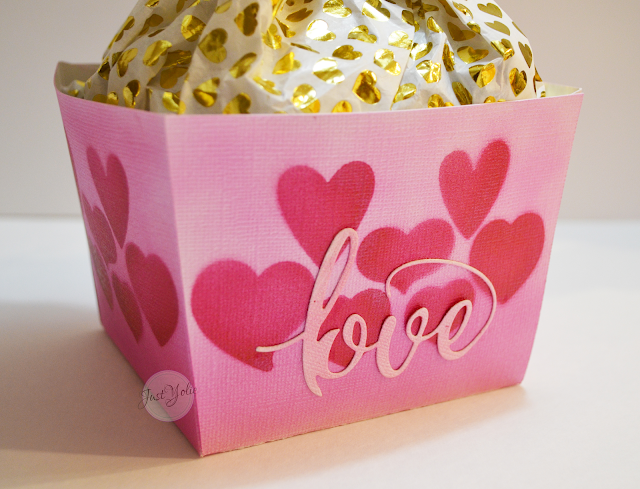 I used a couple of pink markers to eBrush the white box and cut the word "love" on the Cut N Boss. The word "love" is a die cut by Pink and Main. Here is a close up of the box. After I took the photos I realized, I should have include the word "love" on all four sides and so I will. That font is gorgeous and the metal die cuts like butter on the Cut N Boss. I hope you enjoyed my project today. Thank you for stopping by today and enjoy your weekend.